Calender Contact Give to Camp! 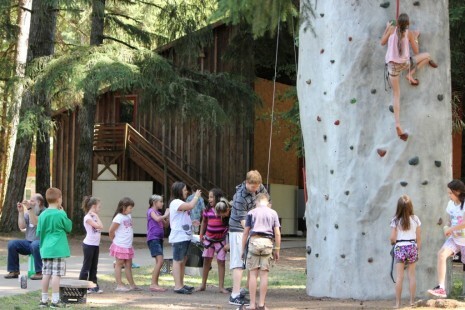 Team-building, social growth, rapport-building, and lots of fun happens at outdoor school! Funds are available for 5th & 6th grade Students through the Oregon Measure 99, to cover outdoor school Costs! Contact Grove Camp for help with securing outdoor school funding today! funding is available for outdoor school!! Grove Camp Outdoor School is one of the only camps in oregon that offers a diverse site for outdoor school, while providing programming, and facilitation if upon request! We are making outdoor school a life-changing memorable experience for all learners, while freeing up teachers from the planning and the organization that outdoor school requires. Grove Camp outdoor school curriculum is standardized and ready to go! Tier 1: Grove Camp Outdoor School Experience. Grove Camp staff runs your outdoor school for you. Simply show up with your kids, minimal planning required! Grove Camp Outdoor School Tier 1 includes: A facilitation director during camp, Grove Camp Outdoor School curriculum books, help with providing class instructors, help recruiting and training counselors, schedule planning, Grove Camp Outdoor School T-shirts, food & cleaning service, Grove Camp Outdoor School water bottle, wood cookie name tags for every student and a zip line experience. Tier 2: Grove Camp Outdoor School Helping Hand. Grove Camp Outdoor School helps you run your own outdoor school with our material and curriculum. Grove Camp Outdoor School Tier 2 includes: Grove Camp outdoor school curriculum books, wood cookie name tags, zip line experience provided and food & cleaning service. Tier 3: Grove Camp Outdoor School Site. Grove Camp provides the space and you provide everything else. Grove Camp Outdoor School Tier 3 includes: School district provides curriculum and classes at Grove Camp site with food & cleaning service provided by the camp. Contact Grove Camp Outdoor School for pricing!! Established in 1951, we've served over 9000 people, held baptisms for 1200. Located on the Row River in Dorena, Oregon, just outside of Cottage Grove. We pride ourselves for the effort we put into summer camps for kids and adults. Grove Christian Camp is dedicated to bringing people to a saving relationship with Jesus Christ, while at the same time teaching and equipping Christians to a more mature relationship of service and commitment to Christ. We'd love to talk more with you about what Grove Christian Camp has to offer. Call (541-946-1662), email, or schedule a visit today!